The vision of the Airborne Tri Team is to provide extraordinary, but accomplishable physical goals, to rebuild and maximize self-esteem and to promote a better quality of life – to promote awareness of veterans with invisible wounds, who are all around us. 22 veterans in a 24 hour period commit suicide due to post traumatic stress disorder, traumatic brain injury, lack of self-esteem and of being fed up with life’s problems. 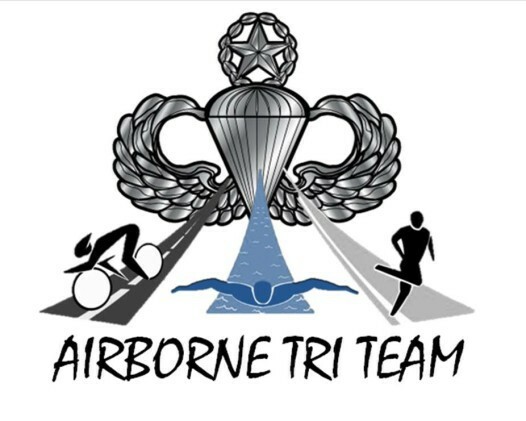 Airborne Tri Team is willing to take the challenge of providing veterans a better lifestyle through physical fitness by helping them set a goal and hopefully putting an end to veterans taking their life’s. The mission of the Airborne Tri Team is to provide inclusive sports and fitness activities and opportunities for war veterans. Airborne Tri Team is a program that utilizes mentoring and therapeutic principles inherent in sport to foster positive personal, social, and physical growth and a better quality of life. Endurance sports work to inspire people from all levels and is a transformative experience for everyone. Dream big and work hard! Veterans can make big things happen. Endurance sports summons people whose mantra is based on the things they believe they can do. With the military having implemented discipline on their service men as one of its core traits, the never quit attitude as well as brotherhood, endurance sports help veterans engage in the whole body approach, by working out through the pain which they may have. The whole preparation is a emotional event. You can find yourself choked up throughout different periods of the race but pushing through and getting to that finish line… It is an unbelievable experience. It’s not about racing, but all the physical work and most important mental preparation that takes place. This eventually helps veterans to better their life style, change their attitude towards life and it gives them a purpose that translates into a positive outlook as a whole.